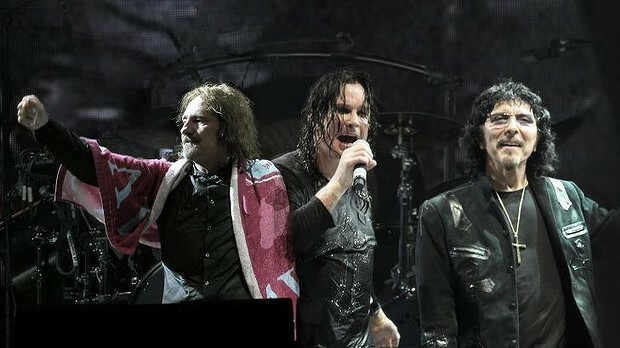 The curtain will officially drop on the long and storied career of Black Sabbath next year. The English rockers, who are the self-proclaimed as the biggest metal band of all time, last week announced "The End" Tour, which will run across the globe in 2016. The tour will see the band initially perform across North America and Australia between January and April. With general public ticket sales beginning just this past weekend, tickets have begun to flood the secondary market. According to TiqIQ the average price for Black Sabbath tickets on the resale market is $199.88 across the 17 North American dates currently scheduled. The tour will is slated to kick off on January 20 at CenturyLink Center in Omaha. The North American leg will stretch until February 25, when it culminates at New York City's Madison Square Garden (MSG) . That midtown Manhattan gig will easily be the most expensive of tour, with Black Sabbath MSG tickets currently averaging $314.56 and get-in price starting at $124. No other shows will exceed the $300 ticket average on the secondary market. Black Sabbath is the latest iconic group to announce a landmark tour this year. While The Who has struggled to keep up along its 50th Anniversary Tour with Roger Daltrey's health concerns, the band has managed to still pack a punch and generate big resale ticket prices along the way. Perhaps more similar to Black Sabbath's upcoming run is Motley Crue, who have set North America ablaze along its own farewell tour. Motley Crue began its swan song, dubbed Final Tour, back in July and have plans to play dates through the end of the year, wrapping with a three-night stay at the Staples Center in its native Los Angeles. Across the band's remaining 27 shows, Motley Crue tickets on TiqIQ are averaging $190.66, just 4.6% below Black Sabbath. An October 5 stop at State Farm Arena in Hidalgo, Texas owns the highest ticket prices at an average of $372.03 and a $134 get-in price. The most expensive Staples Center show comes on December 31, where tickets average $236.53 and get-in price is $57. As for The Who, a decision to cancel the first four stops of their final North American leg will now see Daltrey and guitarist Pete Townshend kick things off on September 24 at the Moda Center in Portland, Oregon. The Who tickets average $225.34 across the band's 24 shows through December, making them the most affordable ticket among all three acts. Their most expensive stop comes on October 23 at Consol Energy Center in Pittsburgh. The Who Pittsburgh tickets own a secondary market average of $302.36 and a $61 get-in price. Three of Black Sabbath's original members will embark on The End Tour, though drummer Bill Ward will again be absent from band activities. Ward hasn't been associated with Sabbath since the recording of 13, the band's 19th studio album that was released in 2013. While Ozzy Osbourne, Tony Iommi and Geezer will all take part in the road stint, it is unknown who will man the drums for their final jaunt across the world. For fans who don't see their city scheduled on the initial tour itinerary, don't fret -- Black Sabbath have announced that more dates will be added to The End Tour at a later date. With more than seven weeks of downtime between the current end of the North American leg and beginning of the Australia leg, it is highly likely that the band will fit in more shows during that period. Expect organized chaos on the road as the iconic group takes the stage together one final time.